Ok, first things first. 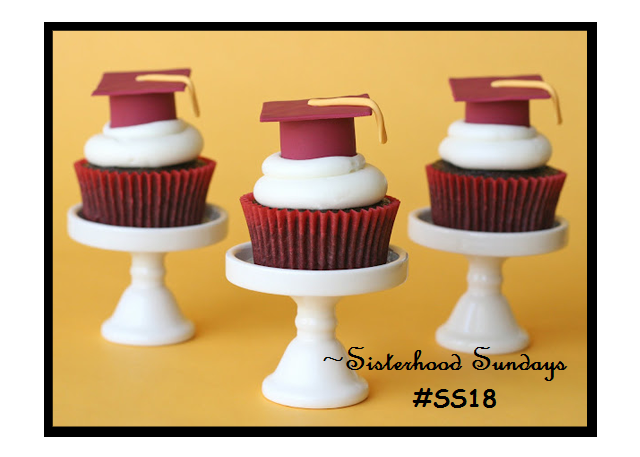 The Rubbernecker Sisterhood Sunday challenge (SS18) this month is an inspiration challenge. All the challenge details are here.﻿ You've got the whole month to play and you could win a Stamp SET just for playing along that includes the awesome new sets for 2012! Is this not the cutest set? And just think..it could be yours just for making a card!! I cut apart (gasp) the sentiment to make three separate stamps. 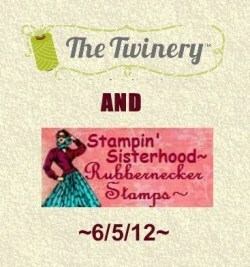 Now you know my secret...I cut up my rubber and acrylic stamps. Now for a peek at my workdesk.for WOYWW157 at Julia's Stamping Ground.. This is the aftermath of the cardmaking..a few cupcakes that didn't make the color cut and my cut up rubber plus a journal in progress and various other parts and pieces that need to be put away. If you've been reading my blog, you know what this is. Just leave me a comment telling me if you follow by email or reader. This alphabet die set is by PTI. I will draw a winner on June 20th.